BUCHANAN, ALEXANDER CARLISLE, public servant; b. 25 Dec. 1808 at Common Green, a large farm near Omagh in County Tyrone (Northern Ireland), son of James Buchanan and Elizabeth Clarke; m. 3 Nov. 1840 Charlotte Louise Caldwell, daughter of Edward Bowen, chief justice of the Superior Court of Lower Canada, and they had four sons and two daughters; d. 2 Feb. 1868 at Quebec. Alexander Carlisle Buchanan received part of his education in Ireland before his father, who ran a linen business there until 1816, was appointed British consul in New York and brought his family to the United States. In 1825 Alexander Carlisle came to Canada and he and his brother, Robert Stewart, were partners in business, apparently in Montreal. 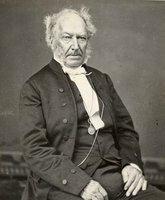 Buchanan’s uncle, also named Alexander Carlisle Buchanan, was the British agent for emigration at Quebec from 1828 until 1838. At least as early as 1833 the younger Buchanan (who sometimes added Jr to his signature) looked after the immigration office during the winter while his uncle took a leave of absence for his health. He did so regularly from 1835 to 1838, when the elder Buchanan resigned because of illness. In that year the British government appointed Buchanan chief agent “for the Superintendence of Emigration to [Lower and Upper] Canada.” He had lived in Quebec perhaps from 1833 and continued to reside there until his death. Buchanan was not an officer of the Canadian government, although he worked in Canada; he exercised a limited supervision over other emigration agents appointed by British authorities to such strategic locations as Montreal, Kingston, Toronto, and Hamilton. After 1848, however, he submitted his annual reports to the Executive Council of the Province of Canada before transmission to London. In the following years his title gradually changed to that of chief emigration agent and he was required to present his reports to the Legislative Assembly. In 1852 the Canadian government established a Bureau of Agriculture, one of whose responsibilities was immigration, and in 1855 Canada assumed the total cost of immigration services within the province. After the Department of Agriculture and Statistics was established in 1862 Buchanan’s reports were included in those of the minister. 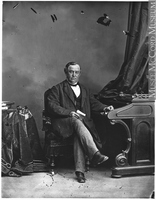 Thus by the 1860s Buchanan had ceased to have the status of an imperial official and had become a Canadian civil servant, an evolution brought about by the achievement of responsible government in Canada. Buchanan’s exercise of his functions was affected by the inefficient and uncoordinated administration of immigration matters by the colonial government. The Bureau of Agriculture had been formed originally to take over some of the tasks of the Department of Crown Lands, which, however, retained a role in the promotion of immigration until 1862. The lack of clear purposes and prestige for the bureau is evident in the fact that it had no fewer than nine ministers between 1852 and 1862; moreover, it was the presidents of the Executive Council who were until March 1862 ex officio ministers of agriculture, and their many duties inevitably distracted them from the bureau’s work, of which immigration was only one part. In 1862 the Department of Agriculture and Statistics became solely responsible for immigration and the situation improved, particularly with the appointment, in 1864, of Thomas D’Arcy McGee as minister and Joseph-Charles Taché* as first deputy minister. The bureau’s weaknesses had increased the burden on and enhanced the importance of its permanent officials among whom Buchanan was the one most concerned with the promotion of immigration. Quebec was the major port of entry, and when immigrants landed there Buchanan met them with information about transportation, employment, and land for purchase. For this purpose he collected information from subordinate agents in Canada and from employers, farmers, and landowners. He also sent this material to government emigration officers in Britain as well as to anyone interested in encouraging emigration, such as shipowners and landowners. Buchanan even undertook to have promotional literature distributed on the Continent. He took seriously one of the main purposes of his office, the protection of immigrants when they arrived. Often bewildered and uninformed about North America, they were easy prey for unscrupulous tricks. To safeguard their funds Buchanan sent them directly to locations where they could quickly find suitable work. Moreover, to guard immigrants from “runners” who sold tickets to destinations far inland, usually in the United States, he directed them to specific Canadian steamship companies and railway offices. Indeed occasionally between 1854 and 1862 Buchanan himself engaged in selling tickets and in remitting money to emigrants in Europe. He finally ended these business connections because of criticism, although a government investigation in 1861–62 showed he had not abused his position. Buchanan’s experience with immigration at the Canadian end and his knowledge of the conditions in Europe led him in 1852 to advocate sending Canadian emigration agents to Europe. Despite the support of the secretary of the Bureau of Agriculture, William Hutton, and of two prominent politicians, Philip Michael Matthew Scott VanKoughnet and McGee, nothing was done until 1859. And it was actually the commissioner of crown lands, VanKoughnet, rather than the minister of agriculture, John Ross*, who first sent an emigration agent, Anthony Bewden Hawke, to England in 1859. Hawke returned in 1860, and Buchanan was sent to England in 1861 and 1863 on short term missions. He continued Hawke’s work of advertising Canada but, as the department’s most experienced senior official, he was given much wider duties. He was to consider the establishment of Canadian emigration agencies in the United Kingdom and the advertising of Canada on the Continent, including France, Switzerland, and Poland. The Canadian government most consistently sought to attract farmers with capital, farm labourers, and female domestic servants. Buchanan was the central distributing agent for Canadian publicity and supervised the other temporary agents promoting emigration to Canada. His report dated 30 Oct. 1861 accounted for work done and also made far-reaching recommendations, including a permanent Canadian agency for London which would perform consular functions as well as those of a central emigration agency. Much of what he proposed for an emigration agency was instituted in 1866 when William Dixon* was sent to Liverpool, and in 1869 Dixon was transferred to London where a central emigration agency with consular functions was put into effect. Buchanan’s chief contributions to Canada’s development were his careful administration of the immigration agency at Quebec and his consistent support for a Canadian presence overseas particularly in the form of emigration agencies. From 1838 to 1868, about 866,000 immigrants came to Canada chiefly from the British Isles, and for many thousands who landed in Quebec, Buchanan provided the first official guidance to their new life in Canada. It is impossible to measure the benefits to Canada’s growth of his sympathetic treatment of them. 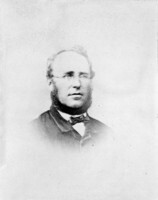 His knowledge and good sense gave weight to his opinions and enabled him to maintain harmonious relations with the Canadian emigration agents who were sent to Europe in the 1860s. PAC, RG 4, A1, S-203, mai–nov. 1836; S-227, 1re partie, 10 janv. 1830; S-245, 17 août 1830; S-296, 1re partie, 31 déc. 1832; S-313, 5 nov. 1833; S-344, 26 sept. 1835; S-392, 1re partie, 23 déc. 1837; B28, 40, no.2378; C1, 234, no.2535; 338, no.1675; RG 17, AI, ser.1, 3, 8, 18–19; ser.2, 2–4; AIII, ser.1, 1–2. Can., Sessional papers, 1867–68, III, no.3. Can., Prov. of, Sessional papers, 1860, III, no.18; 1861, III, no.14; IV, no.23; 1862, V, no.32; 1863, III, no.4; 1864, III, no.32; 1865, II, no.6. Montreal Gazette, 1829–31, 4 Feb. 1867. Quebec Gazette, 6 Nov. 1840, 3 Feb. 1868. A. W. P. Buchanan, The Buchanan book; the life of Alexander Buchanan, Q.C., of Montreal, followed by an account of the family of Buchanan (Montreal, 1911), 197–230, 234–35. H. I. Cowan, British emigration to British North America; the first hundred years (Toronto, 1961). Hodgetts, Pioneer public service, 40, 226–43, 251, 255. W. B. Turner, “Colonial self-government and the colonial agency; changing concepts of permanent Canadian representation in London, 1848 to 1880” (unpublished phd thesis, Duke University, Durham, N.C., 1970). Wesley B. Turner, “BUCHANAN, ALEXANDER CARLISLE,” in Dictionary of Canadian Biography, vol. 9, University of Toronto/Université Laval, 2003–, accessed April 26, 2019, http://www.biographi.ca/en/bio/buchanan_alexander_carlisle_9E.html.